On the track of the Trans-Mongolian railway, one of the most exiting stops is Ulan Bator. Explore the land of Genghis Khan, the world’s last nomads, the great Gobi desert and endless blue sky over grasslands. Mongolia provides you a large variety of sightseeing and spectacular landscape! In the morning, meet your guide at the hotel and transfer to the train station. Start your Trans-Siberian train journey from Beijing to Ulan Bator. Upon arrival in the afternoon, meet your guide at the train station and take a visit to the Chinggiskhan Square, the Parliament House (outside), and the National History Museum. After dinner, transfer back to the hotel in Ulan Bator. Enjoy Breakfast at your hotel. Then take a car ride to the Terelj National park (90km, 1.5 hour drive), enjoy the charming scenery of grassland, mountain, river and forest, visit famous turtle rock. In the afternoon, visit nomadic family and taste milk food. 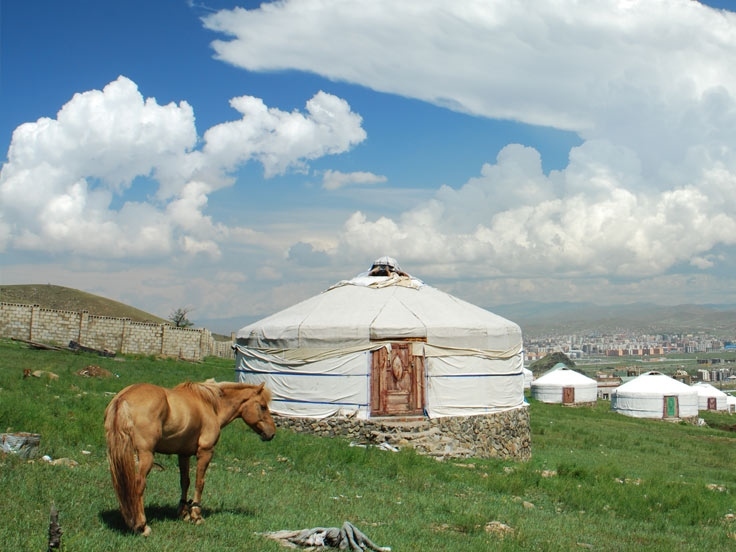 (Two travelers in one yurt, with public shower and toilet facilities). Today, take an excursion to the 13th Century National Park. On the way, visit the Giant Chinggis Khan statue. The goal of 13th Century National Park is to build and establish a real kingdom to present the way of living and working of the 13th century. Here the visitors can dine with Khaans and Queens, visit the residents of lords, learn to write Mongolian scripts, and play in horse-headed fiddle. Also, visitors can enjoy annual celebrations, customs such as making felt cover for gers, vowing wool, mare milking, sacred ceremony to praise flag, heaven by wedding, sealing folks and organizing three traditional sport games of men. After dinner, take a car ride back to the hotel in Ulan Bator. Today, take a visit to the famous Gandan Monastery and the Winter Palace of Bogdkhan. Then, stop at the Zaisan Hill and the Russian Red Army Memorial to have a bird’s view of the capital city -- Ulan Bator. If time permitting, visit a national department store or souvenir market for shopping. Later, enjoy a Mongolian folklore performance with pleasure. After dinner, transfer to the train station for your departure. 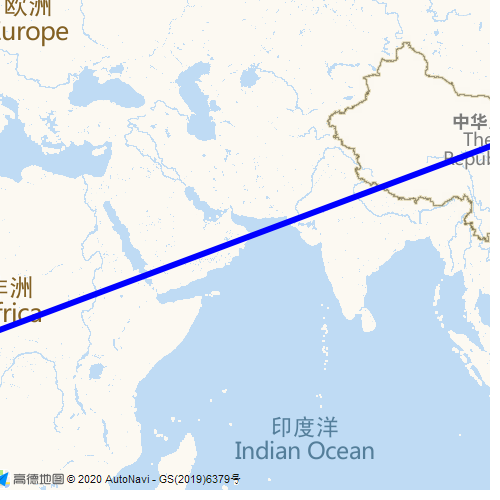 Travel route Raiders: “Ulan Bator National Park Tour”introduces you to Beijing Travel guides, Beijing holiday guide and customized personalized service for your Beijing travel routes as well as Beijing vacation packages. There are real Beijing tourist route evaluation, travel Q&As. If you would like to book tickets and hotels, to find China travel agencies / China tour companies for your travel to China.